In order to run a reliable service we run two sets of servers, one lot at www.takeabyte.co.uk and another set at www.takeabyte2.co.uk. You are welcome to use either at any time, they will look identical. 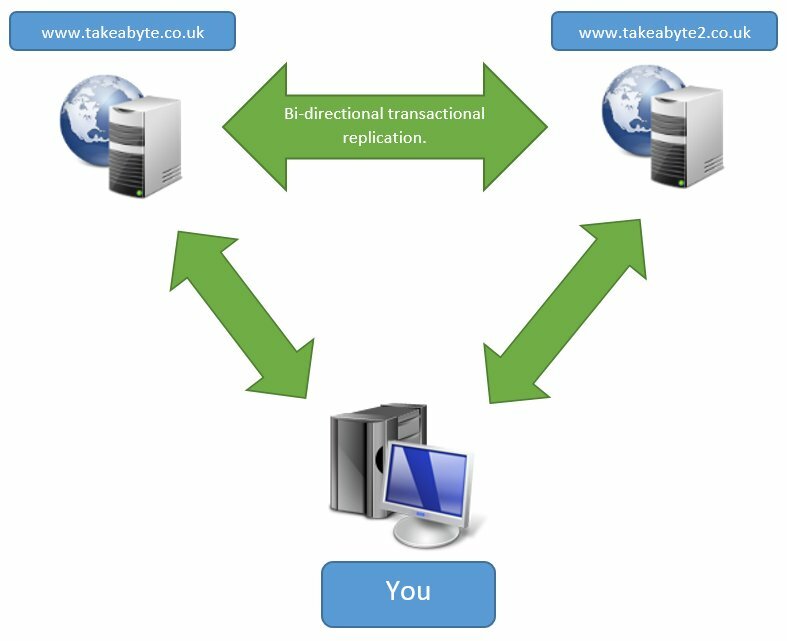 'Bi-directional transactional replication' is a technical term meaning the servers are constantly chatting to one another and exchanging information. As soon as you put a booking into one it will immediately update the other with it. This means if either fails all your bookings will still be available in the other. We use our facebook page to update customers and also to warn them of problems with the service. If our main servers do fail then everyone calls and the phones get jammed. What we ask customers to do is check our facebook page first as we'll post there if we are having problems and will notify customers when problems have been fixed.